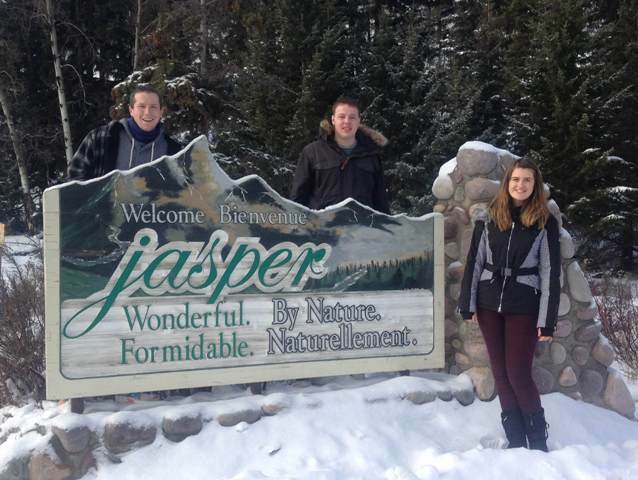 Having completed their first week in Jasper, Canada, I’m really pleased to report that our first group of trainee ski instructors are having a fantastic time in Jasper. 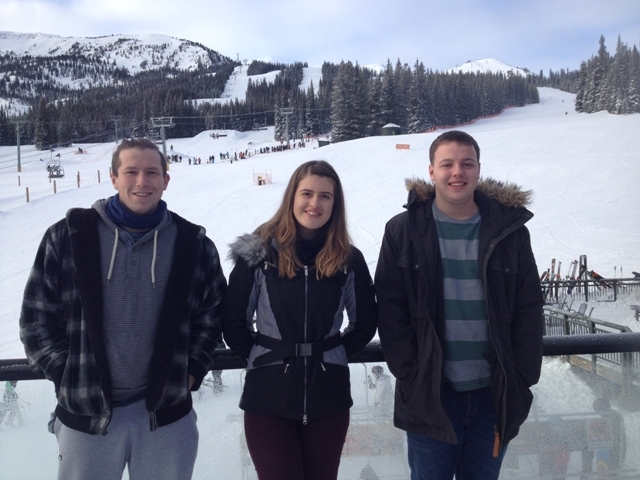 In the space of a week Karl, John and Eleanor have settled into their hotel accommodation, got stuck in to the ski training, made friends and, hopefully, got over the jet lag! They’ve also got to know Kayla, the Oyster representative in Jasper. 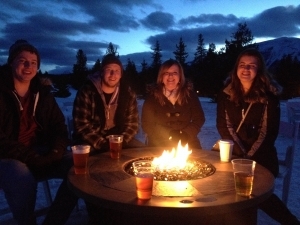 Kayla ran a fantastic orientation last weekend, met the group for a mid-week meal (and a beer or two) and, on Saturday, went with the group to a gig at the Fairmont hotel. Life in Jasper is not just all about the skiing, the evenings and weekend are pretty awesome too! The instructor at Marmot Basin is excellent. As well as our group, he also trains the mountain’s professional ski instructors so knows a thing or two about improving your skiing technique! The feedback from our group is that their skiing has already improved in just five days of training and they can’t yet imagine quite how good they will be at the end of their 11 weeks in Jasper! One of the highlights so far has been the video recording of their technique. It’s always interesting to watch yourself skiing, it’s a perspective that you don’t normally get and it really helps you improve your technique. We get on the mountain just as the sun comes up and leave as it’s just gone down so, for someone who loves skiing, it’s heaven. Over the next couple of weeks the group will be working hard on their skiing to get ready for their CSIA Level 1 exam. Once they’ve passed that, they will be training towards their Level 2. This year, everyone in the group will be taking the optional Level 2 exam which means they will be qualified to instruct skiing in many countries around the world. As well as the ski training, Karl, John and Eleanor will take part in a First Aid course, avalanche awareness course, mountain management seminar, navigation tech training and an equipment tuning seminar. This is a new and exciting programme for Oyster and we look forward to growing it over the coming seasons. As I said to Karl, John and Eleanor at Heathrow last weekend, they are pioneers for Oyster in Jasper. If you want to be part of the action on what will be a tried and tested programme next year, find out more and book your place for January 2016 on our ski instructor in Jasper webpage. If you have any questions, feel free to contact me by email ([email protected]) or call +44 1892 771972 to speak to me.